The esports industry is growing quickly and The Ohio State University is leading in its development by forming the most comprehensive esports program to date. The campuswide collaboration brings together academics, collegiate competition and multidisciplinary research to give students as many opportunities as possible to be a part of the booming industry. “With Ohio State being a leader in engineering, academics, research and medicine, it seems a natural fit to pull all of these together to support the esports program,” said Deborah M. Grzybowski, co-director of the game studies and esports curriculum development and associate professor of practice in The Ohio State University Department of Engineering Education. 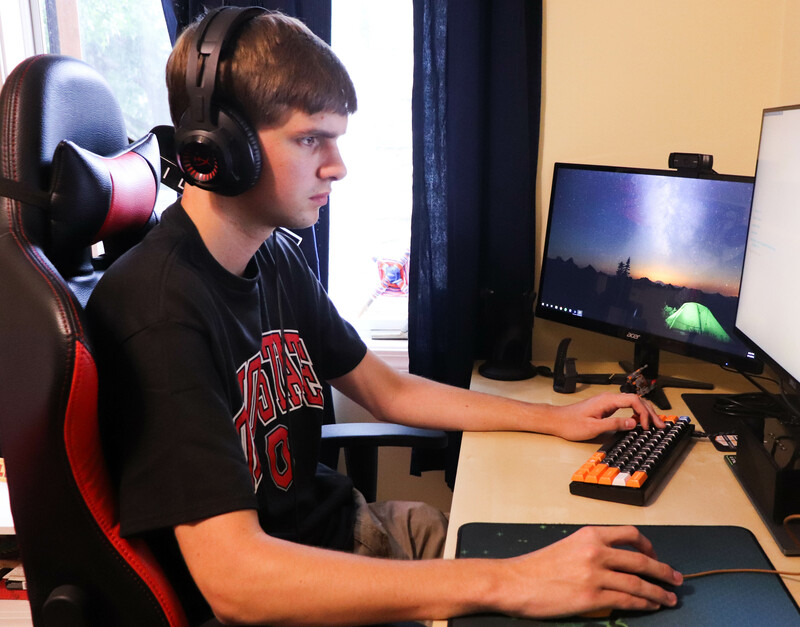 Mechanical engineering major Lucas Lumbra plays for Ohio State’s Overwatch team.An interdisciplinary curriculum spanning five colleges will focus on game studies and esports is being developed at the core of this program. This curriculum will be one of the first of its kind in higher education, and will include undergraduate and graduate degrees; an elective course in esports content production; online certification programs for specialized credentials; and a gaming speaker series. Specific areas of study may include esports management, game art and production, game design, programming, the business of games, and health and rehabilitation. The university is actively seeking input from industry partners to construct the most comprehensive programs possible. A state-of-the-art arena is being built on campus to complement this curriculum and to give students diverse career opportunities. The arena will be home to Ohio State’s esports teams and open to all students. A state-of-the-art esports arena on campus will feature the best computer, console and virtual reality games and systems. 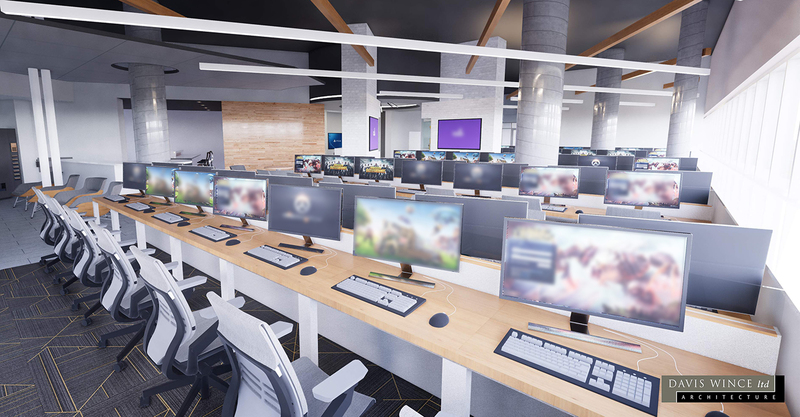 It will be home to Ohio State’s new esports teams, and will also be available to the entire student body.The teams will compete with other Power 5 universities in a newly formed league commissioned by the Electronic Gaming Federation. The Ohio State University will help to develop the governance body of this league. Researchers across the University and at The Ohio State University Wexner Medical Center are the first to study the brains, bodies and behaviors of elite esports athletes. Through a deeper understanding of this relationship and the combined influences of this triad on an individual’s ability to perform a given task, researchers will discover ways to unlock new levels of human performance. This new knowledge will benefit student success, elite athletes and even patients. In order to support these efforts, researchers at Ohio State Wexner Medical Center are putting esports athletes through a variety of tests, all in an effort to figure out what skills and attributes elite esports athletes should have. The results of these studies will help individuals and teams optimize and sustain high levels of performance through assessment, analysis and augmentation.